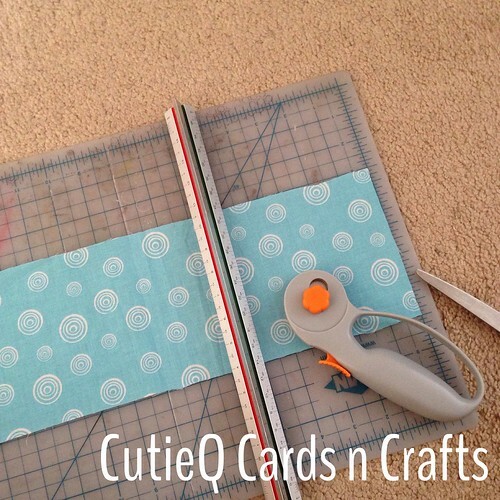 CutieQ Cards n Crafts – Chevron Quilt Part 1 | Living life in the carpool lane.. This time, I’m making a traditional quilt, not a rag quilt. There is A LOT that I don’t know about making a quilt and I probably should have taken a real class at a fabric store, but I feel like I’ve watched enough Youtube videos that I just might be able to pull this off.. When I first got to Joann’s Fabric store, I was overwhelmed. How much fabric will I buy for the quilt top? How much batting will I need? What about the backing fabric and the binding?! I was going a bit crazy and overwhelmed with the entire process that I almost felt like giving up. I left the store that day feeling very discouraged about the whole thing. However, I still wanted to do the quilt. So, I decided to just take things one step at a time. I went back to the store and I bought what I needed for the quilt top only. I bought half a yard of three different pink fabrics and half a yard of three different blue fabrics. I also bought 2 yards of white fabric. 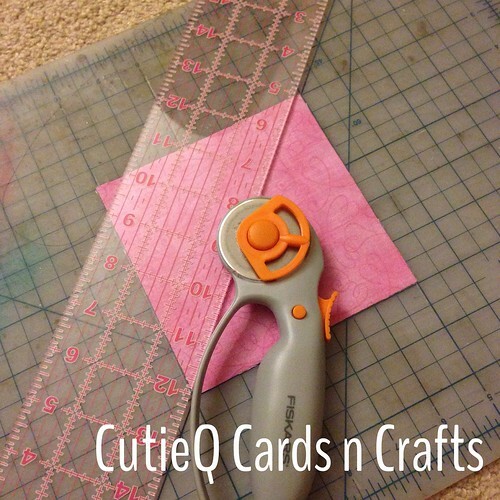 I’m in the process of cutting the fabric into 5 inch squares, and then cutting them on the diagonal to make triangles. Cutting the fabric is taking me a while since I can only do this at night when the kids are asleep. I’m currently working on cutting the white fabric into the triangles, so I’m almost done. I can’t wait to sew the white and patterned fabric triangles together to make some fun squares! 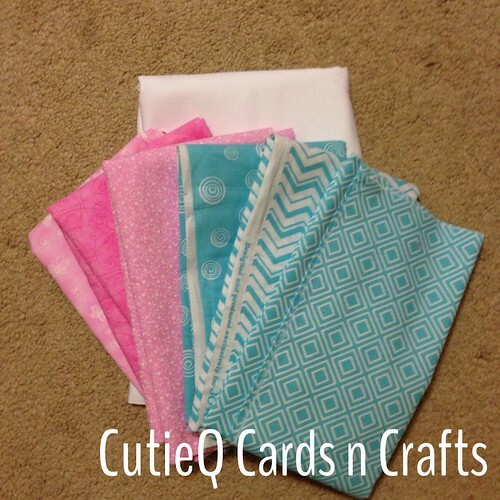 1 Response to "CutieQ Cards n Crafts – Chevron Quilt Part 1"
1 | CutieQ Cards n Crafts – Chevron Quilt Part 2 | Living life in the carpool lane..